1. Sleeper Sleeper was a Woody Allen movie that has been described as a “Sci-fi satire.” It was released back in 1973 and apparently was a big hit, though somewhat controversial. 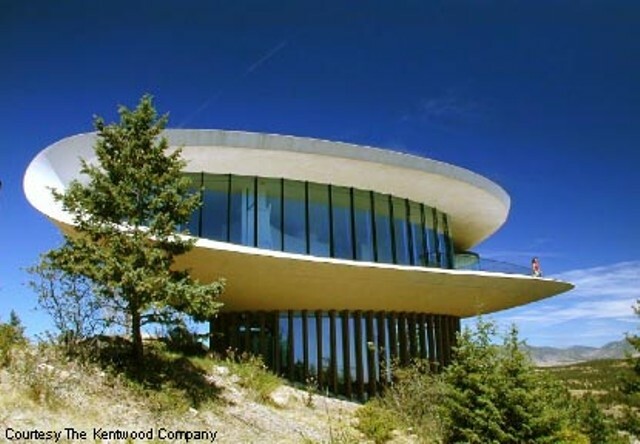 This home, which appeared in Sleeper, is known as the “sculptured House.” It is located on Genesee Mountain, just outside of Denver, Colorado. 2. Money Pit Well, the pic below pretty much gave this house away…although some folks suggested The War of the Roses, which was a good guess. 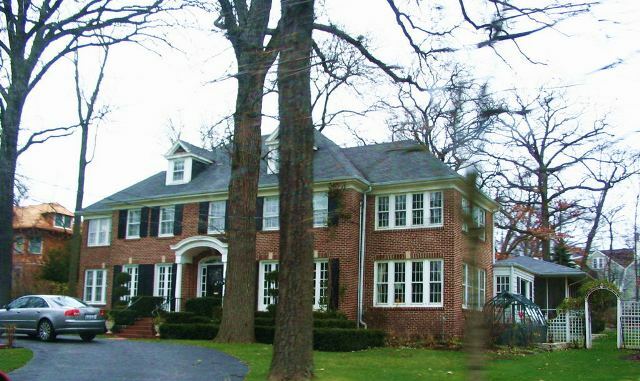 But this house was actually in the movie Money Pit, which starred Tom Hanks and Shelley Long. I think all of us have felt like we were living in this house at one time or another. I especially liked the scene where Tom Hanks gets stuck in the floor…and yes, I mean stuck IN the floor. Pretty funny. If you’ve never seen this movie, you definitely need to rent it. I couldn’t find anything online that said if this is/was a real home, but I suspect it wasn’t and was probably just a movie set. Let’s just say, I HOPE it wasn’t a real home, because they truly abused this place in the making of the movie. 4. Psycho The house on the hill is the Bates Motel. Almost every one got this one…apparently Psycho is a movie not easily forgotten. Fortunately, I’ve never watched this movie…I’d still like to be able to take showers, thank you! 🙂 I read this home was destroyed after the first Psycho movie…then they rebuilt it on another location for the sequels, Psycho II and Psycho III. They had to rebuild it based on photos because the plans were somehow lost. 5. Father of the Bride Most everyone recognized this home, which is located in a residential section of Pasadena near San Marino. 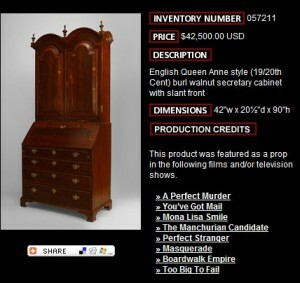 I actually saw the young couple who bought this home interviewed on an HGTV show a couple of years ago. They said the kitchen was basically gutted after the movie was over, so they had to “rebuild” it. They also said a lot of things built for the movie, were not built well, since they only needed to last a short while. I remember they mentioned that the picket fence pretty much just fell apart after they moved in; it had to be completely replaced with a real fence. They have also had problems with people stopping by, ringing their door bell and asking if they can tour the home! How annoying is that?!? Click here to visit the website containing lots of information about this home and the upcoming celebration. 7. Forces of Nature This one threw everyone for a loop. Most folks thought this house was in Savannah, and it does look like it could have been…but it’s not. Forces of Nature was filmed in 1999 in South Carolina and it starred Sandra Bullock and Ben Affleck. 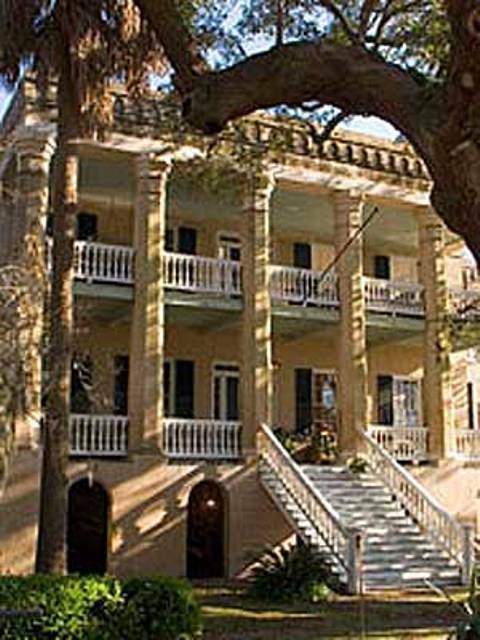 The scenes that are supposed to take place at the “Cahill’s” home in the movie, were filmed in this private residence which is known as “The Castle.” The Castle is located in the low country, downtown Beaufort, and is apparently for sale now. You can take a full video tour of the home and gardens by clicking here . I liked the tour but the music they have playing during the tour is depressing…not house selling music, if you ask me! The gardens are truly amazing! Thanks for all your great guesses. 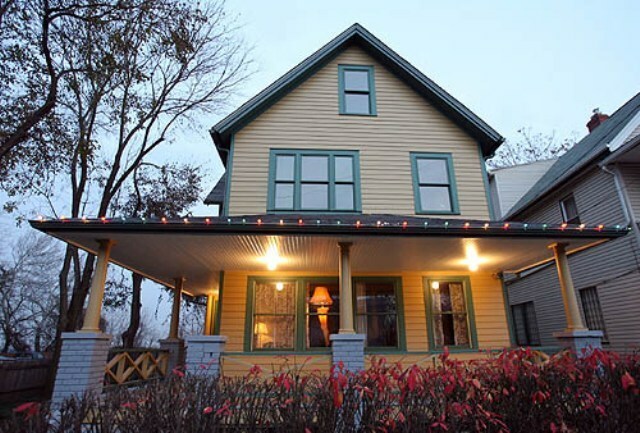 I can tell you all like movie houses as much as I do! Tomorrow is Tablescape Tuesday! 🙂 This past weekend I put together a “winter” themed tablescape that I will be posting on Tuesday. I’ll also have links to many blogs that will have wonderful tablescapes posted for your enjoyment. See you tomorrow! Morning Susan…this was a fun movie house quiz…I only got 3 of them, because the other movies I hadn’t seen. BTW, I posted my win of the choc. pot today. Sign me up for Tablescape Tuesday tomorrow! 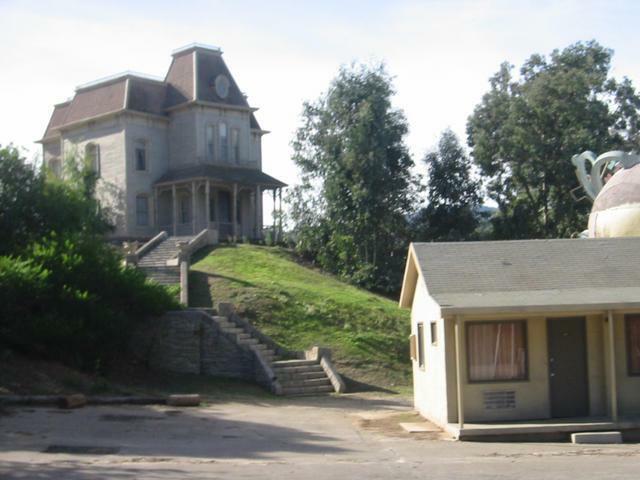 I only got a couple right…I'm a horror fan so you knwo I guessed the Bates house correctly. I have my table all set & my post ready for tomorrow's Tablescape Tuesday Susan…can't wait to see your winterscape. I can’t wait until Tablescape Tuesday either! My post is done and scheduled to post tomorrow morning! Thanks for including me! Well, I flunked that test! Please put me down for tablescape Tueday–you can link to the Church Ladies Event and I will also sumit “my tablescape.” By the way, which table did you want the close up of (from Rosebriar)? I am in for Tablescape Tuesday! Can’t wait!! Hi, Thank was a really fun post, I was so looking forward to see which houses wentto the movie, after the result, you then remember some of the house, Thanks for taking us on a fun trip, in movie land. Just wanted to let you know we got a new kitty. Just posted about her. Please come see her…she is so sweet! Oh! Bless you Susan! So simple, I was trying to make it hard. I have blows in reader and dash board, trying to figure how to get it all together! I was in Hot Springs and watched Father of the Bride in the hotel…man is it a gorgeous house! Now I’m going to have to watch Sleeper just to see Brad Pitt..I never knew that he was in the movie! Sorry I’ll miss you at garden club this time. Well, I guess my glass is not quite half full this time. I only got 3 correct. Oh dear, I’ve never “tested” well and this just proves the point. Evening, Susan. Oh, I didn’t do too well on my houses. Well, it was nice to hear about them! I’ll be tablescaping with you tomorrow! Can’t wait to see what you do.